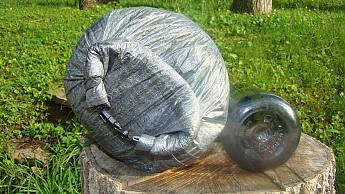 You can have a great night’s sleep with the ZPacks Pillow Dry Bag. 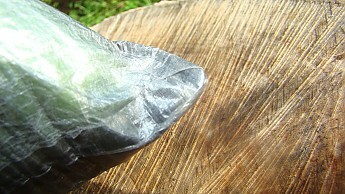 Use it as a stuff sack and an added layer of protection for your sleeping bag during the day. 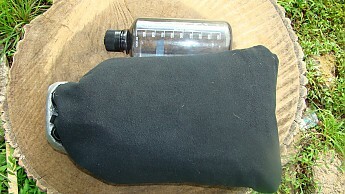 Then at night, turn it inside out, stuff it full of clothes, and rest your head on the soft and smooth micro-fleece liner. 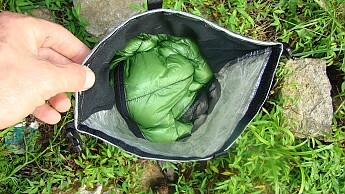 I have been trying to lighten my pack weight, so I try and keep an eye out for gear that can serve multiple purposes. And, for 2 additional ounces I had to see if this was something that would work for me. 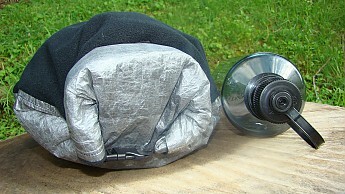 My ZPacks pillow dry bag was purchased as an upgrade from a regular ZPacks Roll Top Dry Bag. 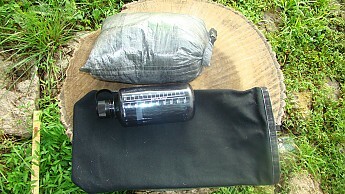 I purchased a sleeping bag from them and all sleeping bag purchases come with a dry bag. 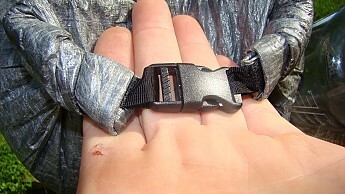 They come in 2 different sizes depending on the sleeping bag you get. My bag is the medium-plus size. 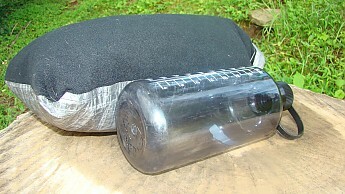 The cost to have my bag upgraded to the fleece lined pillow bag was 6 dollars. The medium-plus size weighs 2 ounces. 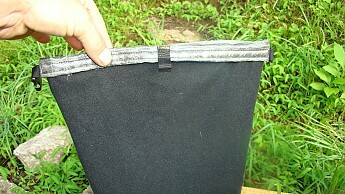 It is constructed from black 1.0 oz/sqyd cuben fiber material. 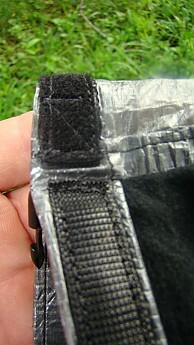 The top of the bag seals with a stiff Velcro and has a clip to keep it closed after rolling it down. 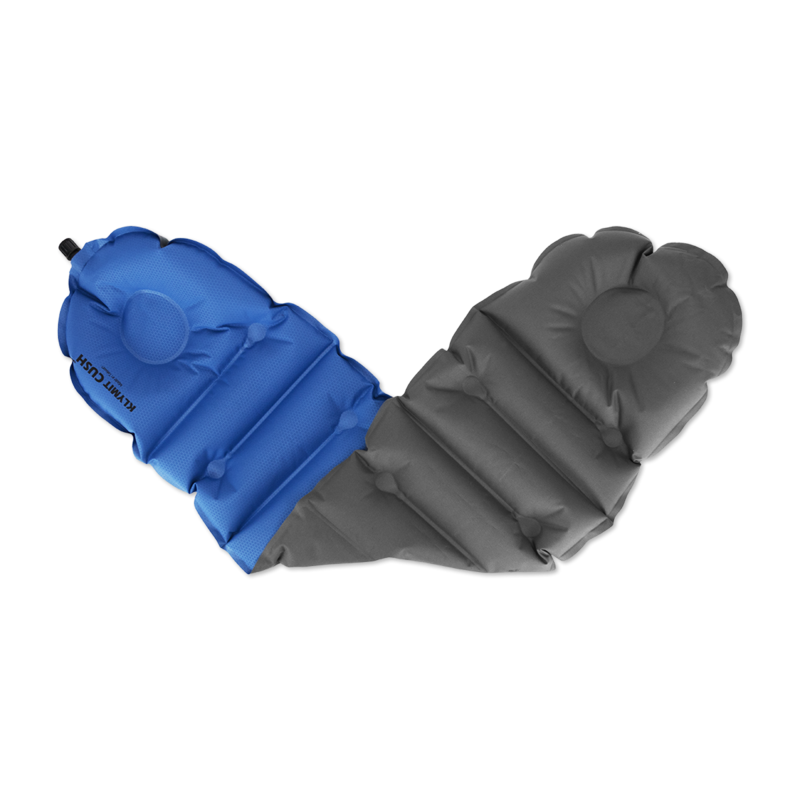 It has micro fleece sewn into one half on the inside which is the only difference between it and the other dry bags made by ZPacks. The construction is solid. 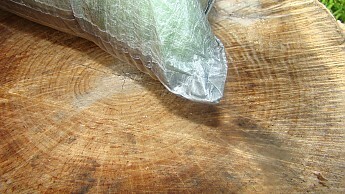 The sacks all have taped seams and the stitching is amazing. 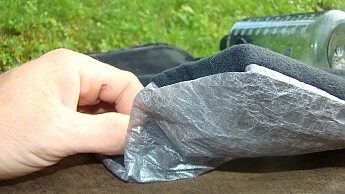 All ZPacks Dry Bags come with a 1 year warranty against defects in material or workmanship. Also, their customer service is outstanding! Also, there are 2 tabs at the top which allow for easier opening! 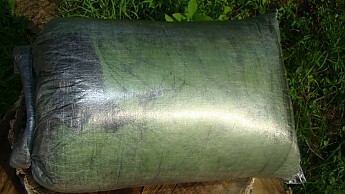 Laid out flat it is about 11 inches wide and 20 inches tall. 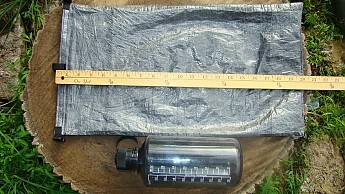 When full, it’s around 7 inches around and 15 inches tall. 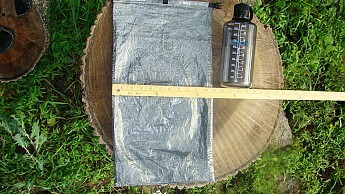 With my sleeping bag compressed it is only around 12 inches tall, but has plenty of room for more. I have used it on 8 different overnights as well as unpacking and packing it several times and it doesn’t show any signs of wear. 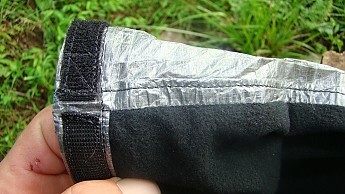 The clip and the Velcro are still very strong and have never failed, the outside cuben and the inside fleece are in fantastic shape. 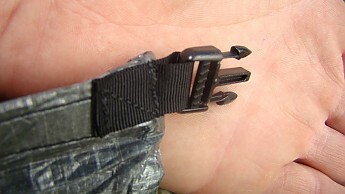 Overall the strength and durability are excellent. I have not submerged it in water but I did lay it on the front lawn while watering, and after 4 hours everything inside was still nice and dry. Since I will never put it in conditions like that while camping, (I hope) that was a good enough test for me. 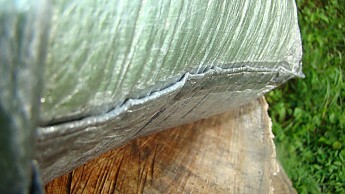 If you look closely at the photos you can see the green color of the sleeping bag through the cuben fiber material. On the side with the fleece you will not be able to see through it. This does not affect the performance of the bag but I just felt it should be noted. 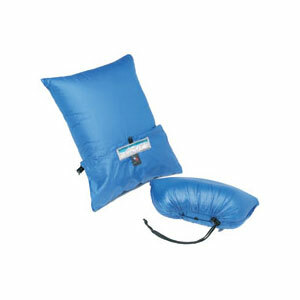 Lying on a Therm-A-Rest Neoair Xlite, I had a quilt style sleeping bag and this pillow dry bag. 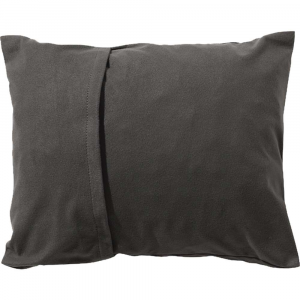 The pillow is only fleece lined on one half and I quickly found out that the pillow slid easily on the air mattress. I do have this same issue with other pillows I use. 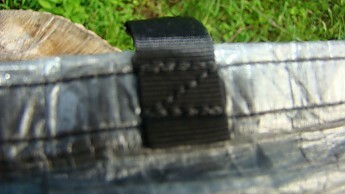 ZPacks suggest a small piece of Velcro to secure the pillow to your pad but I have not tried this yet. Sounds like the way to go. 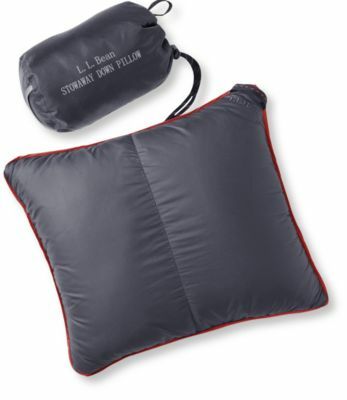 I find this pillow best for me when I am using my Kelty sleeping bag that has a hood. 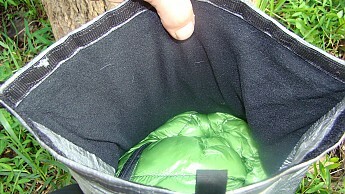 I put the pillow inside of the sleeping bag with me and the hood helps to secure it into place. 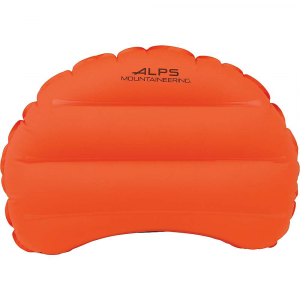 I do have a small inflatable camp pillow that I have been using for a while now. 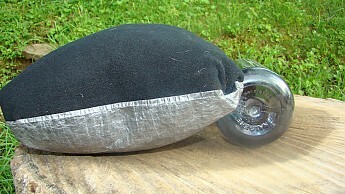 It weighs next to nothing so I might try taking it on the next trip and putting it in the ZPacks pillow after inflating and see how that does. 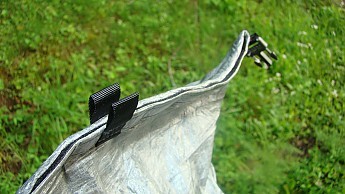 The cuben fiber material can be a bit noisy when moving around but that does not really bother me. 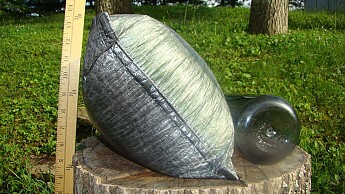 I even put my medium size cuben fiber clothes bag inside of the pillow without taking the clothes out. A tip. 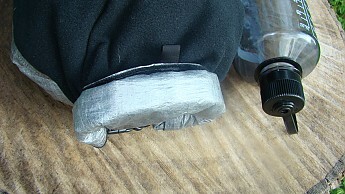 It is easier to roll and clip shut in "pillow mode" if you first turn the Velcro strip at the top inside out. 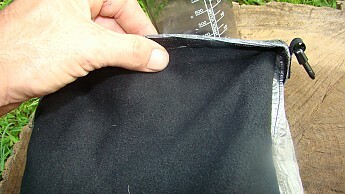 the Velcro will be folded over the fleece. See photos below. I just found this to be the best way for me. 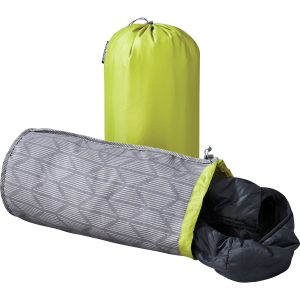 Full price, the medium-plus pillow dry bag is $31.95. It is expensive but I feel it is worth it. 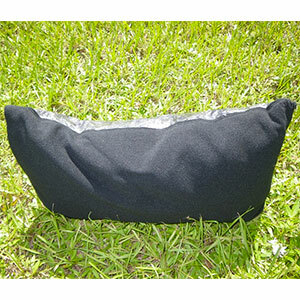 Not only do you get a soft fleece pillow but the added protection for a down sleeping bag. 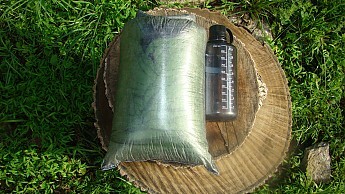 And if you are already thinking of getting one of the ZPacks sleeping bags then consider the pillow for an extra 6 bucks. I do not think you will be disappointed. See below for extra photos! Thanks for sharing this great review and pics, Chris! I always love to hear about seemingly simple gear that performs well, especially from smaller companies. Great review, Chris! This looks really cool and very functional. I would definitely be interested to test one of these! Thanks for the helpful pictures, too! Ordered a medium vs. medium plus, got something in between. Should still work well. 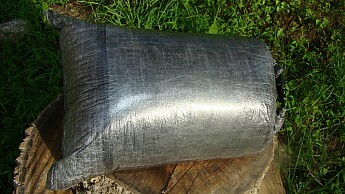 I had already ordered a medium ZPacks Pillow Dry Bag for a new down quilt when Chris posted his review. When mine arrived, my first impression was it seemed larger than I was expecting and at first I thought I might have been shipped a medium plus instead of a medium. 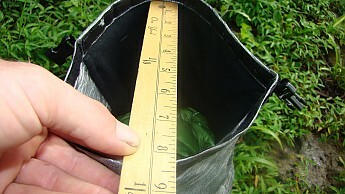 After measuring the bag, I found the answer is somewhere in between. 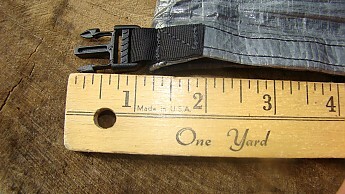 One side measures 20 1/2", the other side is 19 1/4". 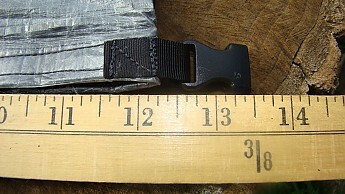 The bottom is 11 1/2" and the top is 11 1/4". It weighs 53g. 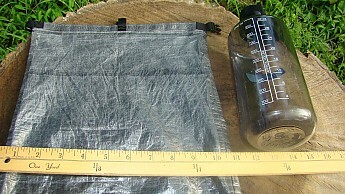 This places the bag in between a medium and medium plus per the specs on Zpacks' website. I think most would call this a factory second. 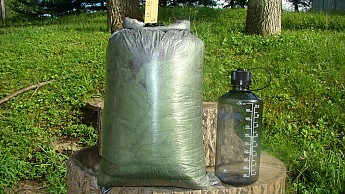 I bought the bag for use with a 50 degree down quilt. 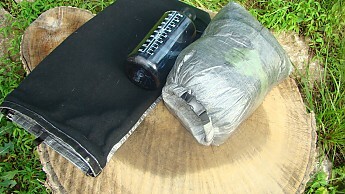 The 50 degree quilt compresses down to less than 1/2 the bag's volume. 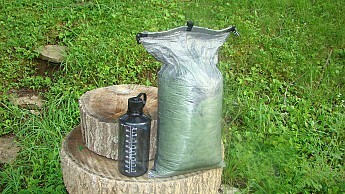 The bag could easily accomodate a much heavier down quilt or sleeping bag. Quality control concerns aside, I echo Chris's review and would have given it five stars. Always great to have another perspective. The more we have the better for those of us looking! 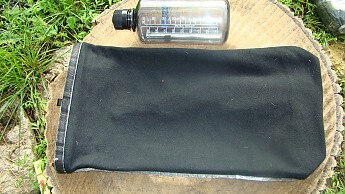 The Zpacks Pillow Dry Bag is not available from the stores we monitor.